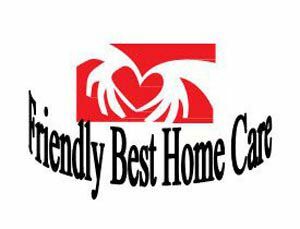 Friendly Best Home Care, is licensed by the State of Maryland. License Number.- R3540. Our services include Skilled Nursing and Personal Care.Our Registered Nurses and Nursing Assistants are certified by the Maryland Board of Nursing. We offer affordable quality healthcare in multiple settings including private homes, hospitals, assisted living and nursing homes in the Baltimore-Washington Metropolitan Area. Our services include Skilled Nursing and Personal Care. We are licensed, bonded and insured. We are available 24 hours a day, 7 days a week for immediate assistance. We provide services to adults who are handicapped, disabled, elderly and/or those challenged with chronic illness, injury or recuperating family members with the special care and companionship care services they require, tailored to their home care needs.that require residential services. Our loved one deserves to have care from the very best, right in the comforts of their homes. We offer highly screened and skilled Caregivers, Companions, Home Healthcare Services and Aides, Certified Nursing Assistants and Registered Nurses on a convenient, flexible hourly, full time, or 24-hour live-in basis. Our dedicated caregivers are experienced with adults and the in-firmed in various stages. Our employees must be a Registered Nurse/LPN, Certified Nursing Assistant or Certified Medication Technician. Criminal background check must be conducted on all the employees, requires verifiable references, CPR, First Aid, and TB tests and must furnish a Motor Vehicle Department report of their past driving.